A new device has arrived in France: the Exilis Elite™. Combining monopolar radiofrequency, ultrasound and a cooling system, this technology has reinvented the medical treatment of cellulite. I find this technology effective for treating cellulite on the thighs, where excess fat is often combined with sagging skin. Performed over the last ten years or so, monopolar radiofrequency treatments use heat to melt away superficial fat and improve the shape of the cutaneous layers (by reorganising the collagen fibres). Ultrasounds, which are now combined with the radiofrequency, work like a radar to target the fat to a thickness of up to 2.5cm. These ultrasounds also attack the fibrous membranes that retain the fat cells, making it easier for them to be eliminated naturally. The heat emitted by the radiofrequency is set by the device, so that it melts the fat to the same depth over the whole treatment area. The integrated cooling system neutralises the feeling of heat and prevents any risk of burning the skin’s surface. The Exilis Elite is therefore able to achieve consistent results, without creating a “corrugated” or “wave” effect on the skin. This almost pain-free medical treatment is carried out in a doctor’s surgery, in 4 to 5 sessions, each lasting around twenty minutes, and spaced a week apart. There is no need for any downtime or time off work. The Exilis Elite™ machine – which was developed by BTL, an important manufacturer of medical and aesthetic equipment – recently obtained FDA approval (Food & Drug Administration) and adheres to the European CE standard. This solution is suitable for treating adipose cellulite, which is characterised by excess superficial fat and the well-known “orange-peel” effect. The skin-firming effect is immediate, followed gradually by the stimulation of new collagen production. This leads to a long-lasting improvement in the quality of the epidermis, which is firmer and looks visibly younger, as well as a significant improvement to stretch marks. This is why – whether or not I am also treating adipose cellulite – I use this new technology to firm up the skin on various areas of the body (arms, belly, décolletage) and face (jowls, eyelids) if the patient is suffering from moderate skin sagging. 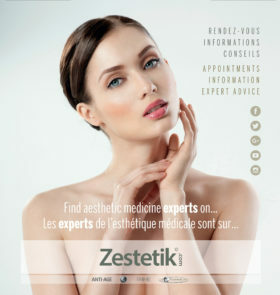 Reconstructive, aesthetic and plastic surgeon, qualified with the French National Order of Doctors and certified with the French National Authority for Health (HAS). Having lived in Paris since 1997, he performs surgery on the breasts, figure and face, treats cellulite and practises aesthetic medicine. 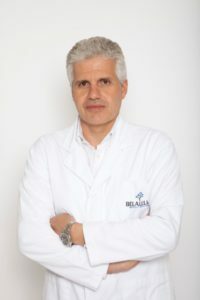 Elected by his peers as a board member for the French Society of Aesthetic and Plastic Surgeons (SOFCEP), he is also an active member of the SOFCPRE and ISAPS (International Society of Aesthetic and Plastic Surgery). Co-author of “La Chirurgie du Bonheur” (Ed. du Panth.on), he writes a blog about topical subjects in the surgical and aesthetic medicine fields.